Postmodern Realities Episode 114 - Why Did God Let that Child Die? Perhaps the most difficult and emotionally charged question ever asked the pastor or apologist is why God let a particular child suffer or die. The question is rarely abstract. Ive never been asked why God lets children die. Im asked why God let six year old Ethan get killed by a car while he was skateboarding or why God let four year old Kaylee die of leukemia. The typical Christian answer is, We wont know until we get to heaven. Of course, we will certainly know more when we get to heaven, ... See More but is that all we can answer? I suggest we know more than that. We may not know all of Gods reasons for letting a particular child die at a particular moment, but we can answer why God allows children to die. 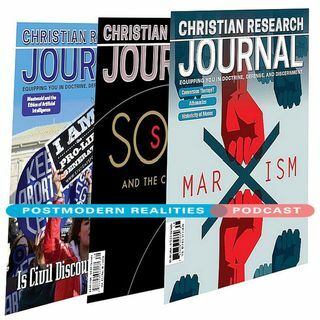 This Postmodern Realities episode is a conversation with JOURNAL author Clay Jones about his CHRISTIAN RESEARCH JOURNAL article Why Did God Let That Child Die?.